Thankyou so much for helping to make our wedding day so perfect. We had an amazing day and thanks to you we have it all captured on dvd forever. We cant thank you both enough for all your hard work on the day, especially for the wonderful highlights that were done so professionally. We absolutely love it…. Thankyou so much for a fabulous memory for us to keep of our special day. We are so grateful to you guys for all your hard work on the day. The dvd is a true reflection of the day and perfect in every way….. 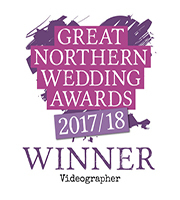 Thank you for doing a fantastic job on our wedding day, we absolutely love our wedding dvd….. Thank you so much for our wedding dvd, it really is fantastic and we love watching it over and over again. The editing, music and footage is fabulous and so many people have commented on what a fantastic job you guys did. Thanks for everything best wishes…. We would like to take this opportunity of thanking you for filming and joining us on our special day. Throughout the day your patience and professionalism was fantastic, this made ourselves and our guests more at ease. Now we have seen the final dvd we are absolutely delighted. Thankyou once again for all your hard work in making our day such a memorable one…. Thanyou for being a part of our special day and capturing every moment on film. we cannot thankyou enough for the amazing job you both did. We are extremely happy with the final dvd and plan to enjoy many hours watching it over and over with family and friends. You are both lovely people and we hope to keep in touch in the future.